Home / hair / tip / How Do You Know When You Have Healthy Hair? 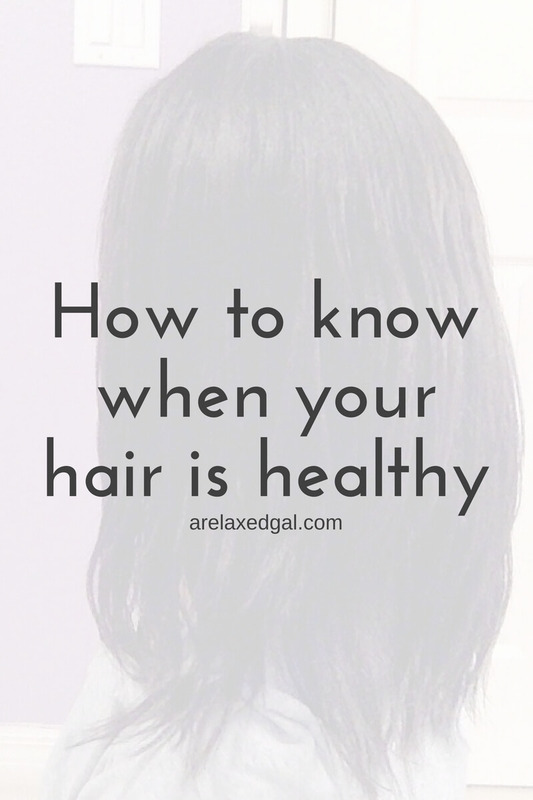 How Do You Know When You Have Healthy Hair? I don't know anyone who would say no if asked whether or not they would like healthy hair. When you look at hair advertisements on TV, magazines or online the images of the model's hair all convey a sense of health. They have hair that is shiny; the perfect length; blowing perfectly in the breeze; bouncy, shiny, springy curls; is the perfect hue of shiny silver, brunette, red or blond. Oh did I mention the shine? For years I would look at these images and try to get my hair to mimic the shine and movement of the brunettes. The shine was the most important for me and I would purchase all these shampoos, conditioners, serums, oils, greases you name it to provide me with that just stepped out of an ad shine. All the while I thought I was doing something to make my relaxed hair healthy and nothing could it damage it outside of frying with the curling iron. For some of that time, my hair was healthy. The rest of the time it wasn't. 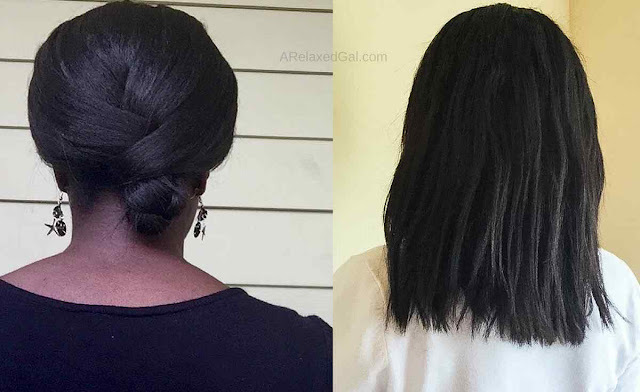 So how do you know if your relaxed, colored or natural hair is healthy or not? After talking with stylists, reading multiple hair blogs and learning from my own mistakes I've compiled a list of five ways to tell when your hair is healthy. When hair is healthy it has elasticity and will snap back into place. When hair isn't healthy it will snap into pieces when put under pressure. This creates little pieces of hair that you may find on your floors or counters. It also creates short and scraggly hairs on your head where the breakage occurred. Hair breakage can be caused by many different things such as over-drying, a diet low in iron or protein, over-styling, heat damage, or chemical damage. Hair can shed between 100-200 strands a day. I've never counted the number of strands that shed from my head, but I can easily notice when my hair is shedding more. That's when I know my hair isn't as healthy as I think it is and it's missing something that it needs such as moisture or protein. I'm not talking about store-bought or manufactured shine, I'm talking about the real thing. Softness and shine are good indications that your hair is properly moisturized. Split ends are when a split occurs in the hair shaft and are caused by dryness, harsh combing, and excessive heat. Once you have a split end there isn't any way to get rid except trimming the hair strand above the split. While thickness and fullness are different from head to head, they can be a good sign of whether your hair is healthy or not. Breakage and shedding can contribute to thinning. I think its almost impposible to have no breakage, well constant breakage. I see broken strand every wash day but its not excessive. These are some good points. I've had a few periods of time where I didn't have any breakage, but you could be right that it's common to have some breakage occasionally. Thanks for reading Tomes!